SNAFU! 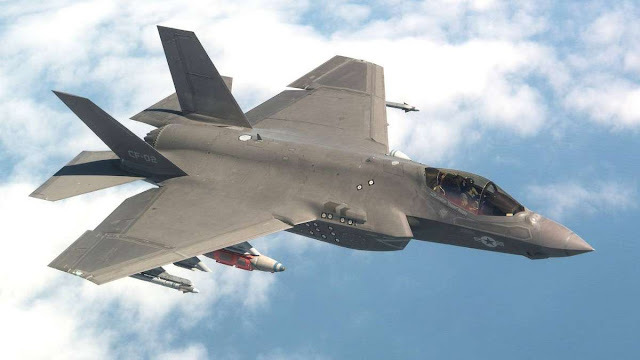 : The WARZONE talks F-35 EOTS upgrades, the real story is the Frankenstein fleet of F-35's we're building! The WARZONE talks F-35 EOTS upgrades, the real story is the Frankenstein fleet of F-35's we're building! Eric Palmer once talked, shouted and warned about "mistake jets". He tried to get the word out about how we're essentially spending BILLIONS of dollars on warplanes that won't be used. Good God the guy was right. And if he wasn't then that's worse. That means we're gonna spend BILLIONS more to get all those planes up to the same standard. It also means that while we're waiting to do that we're gonna have a Frankenstein fleet of planes with different sensor suites of varying capability. You still think this program hasn't reached the criminal stage? You still think the Pentagon is a good steward of the taxpayers dollar?